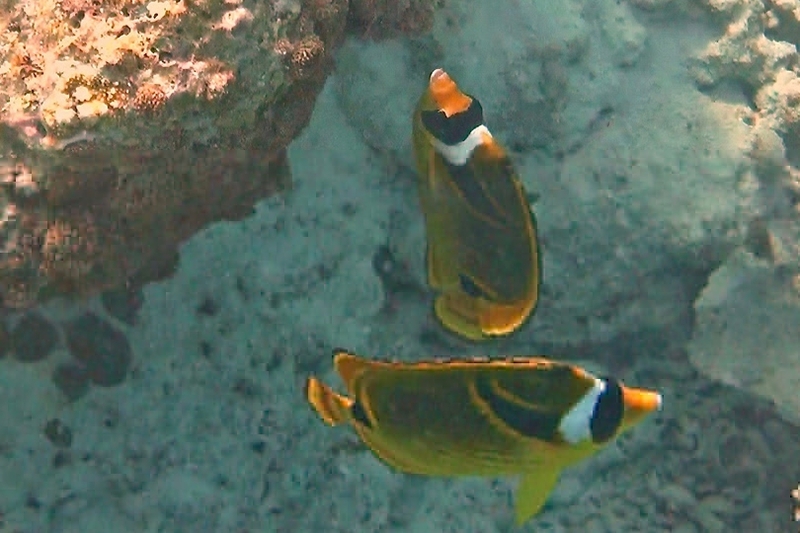 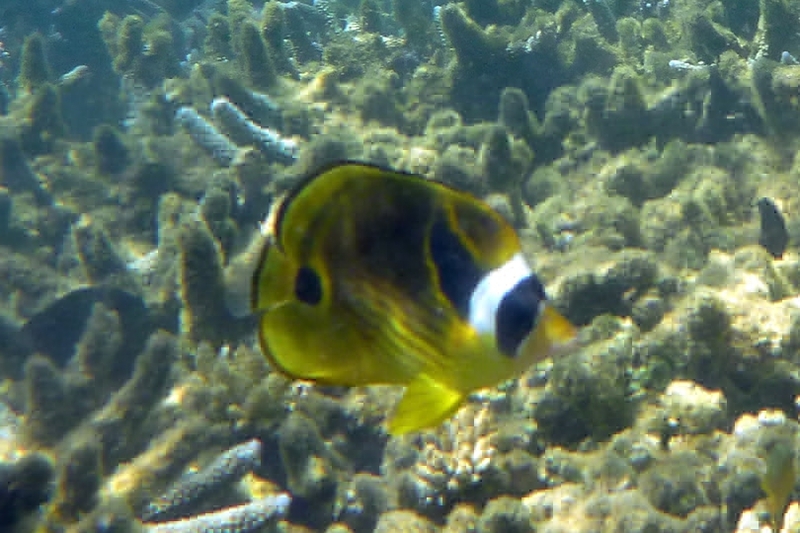 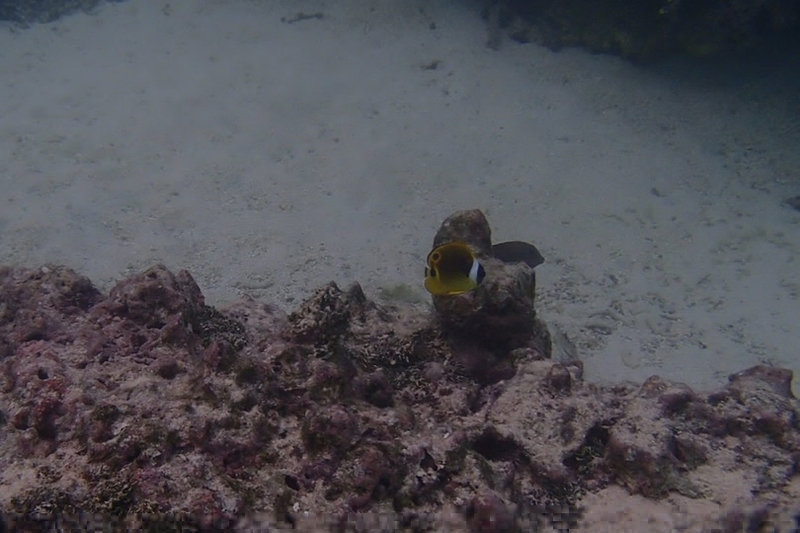 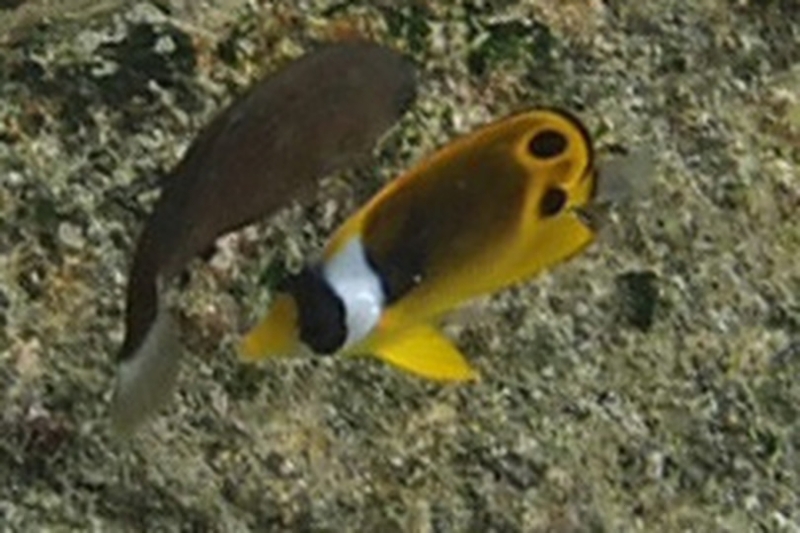 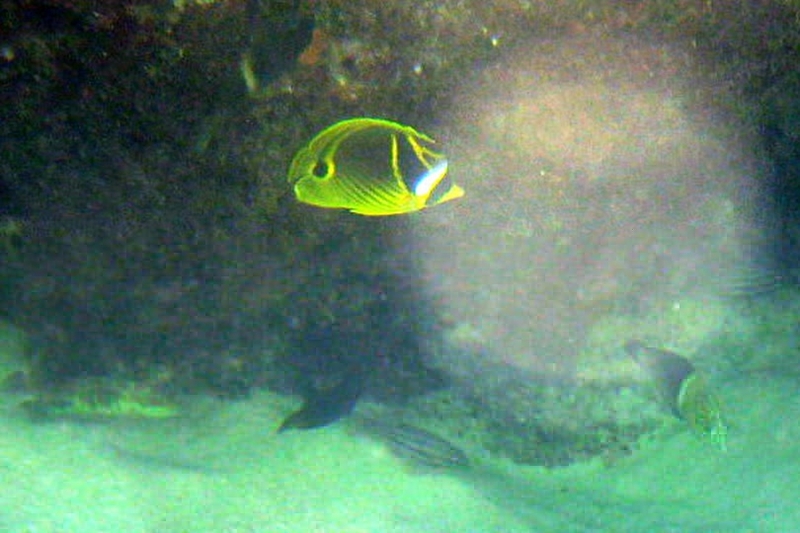 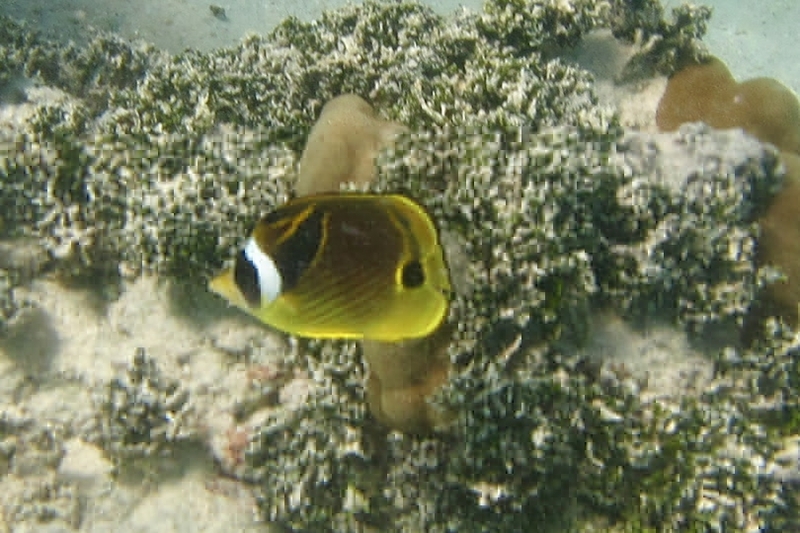 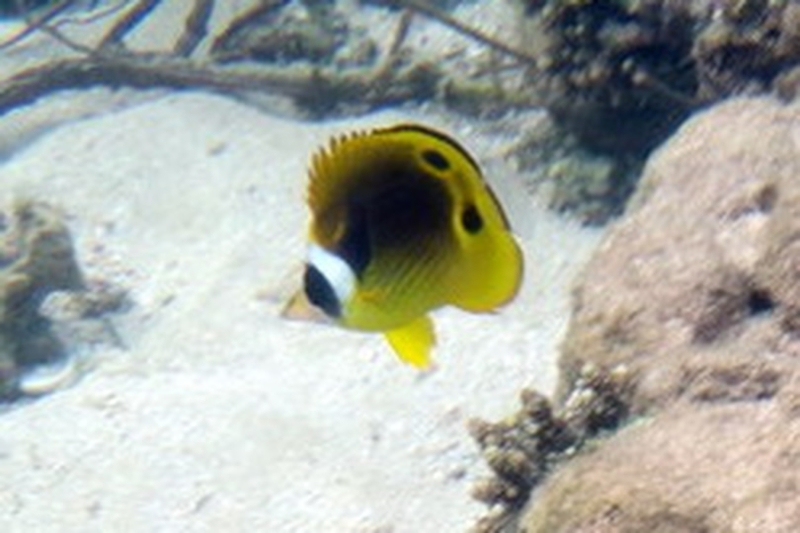 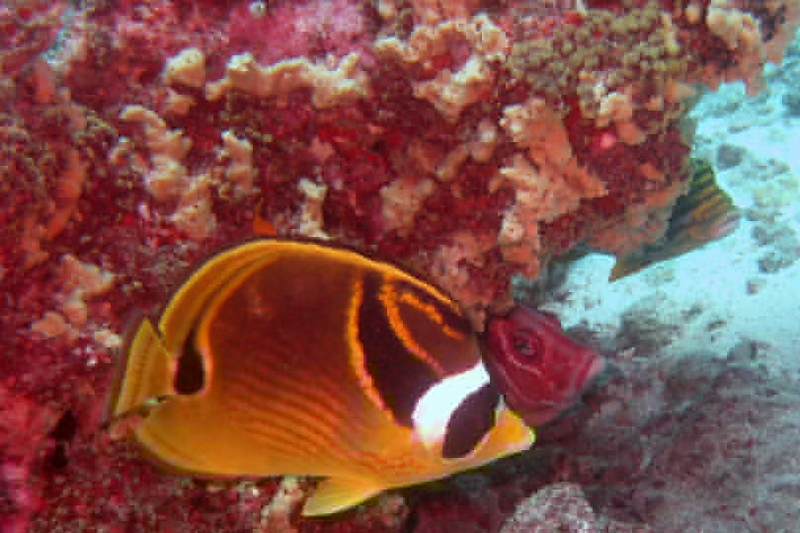 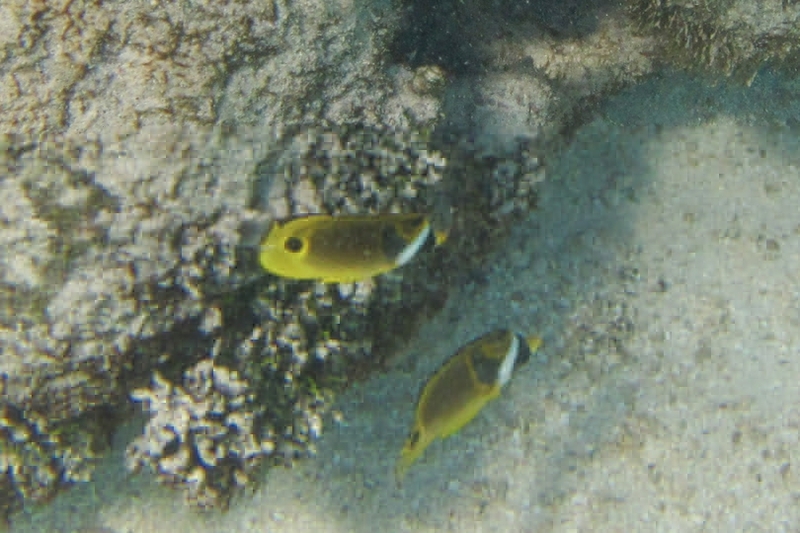 The Raccoon Butterflyfish - Whats That Fish! 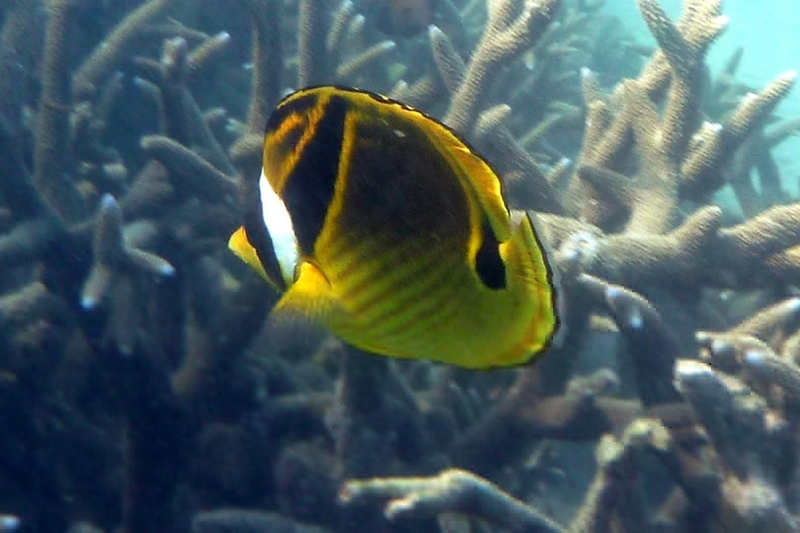 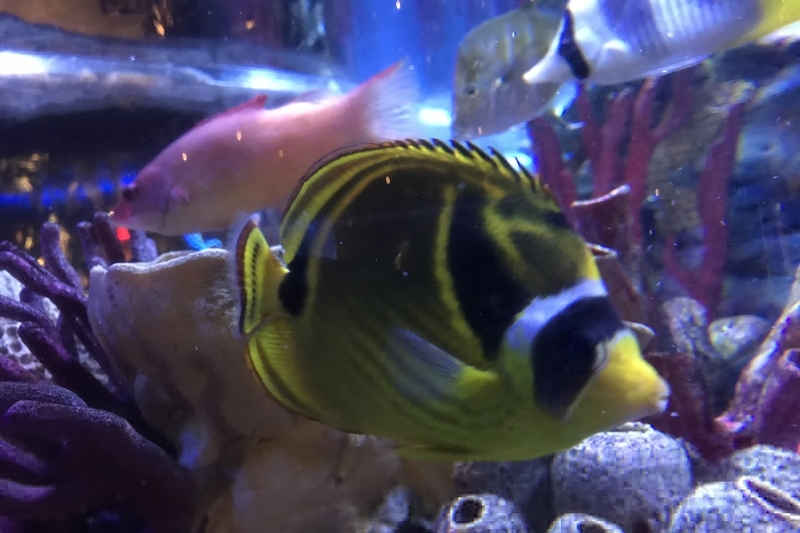 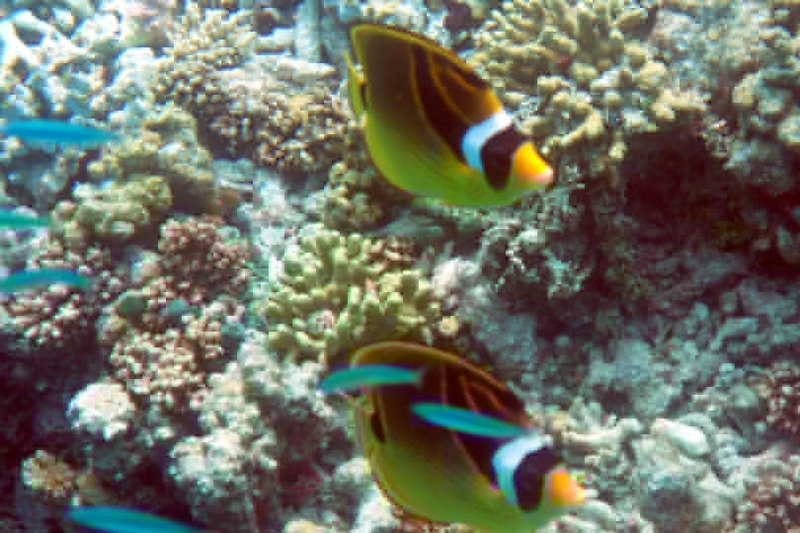 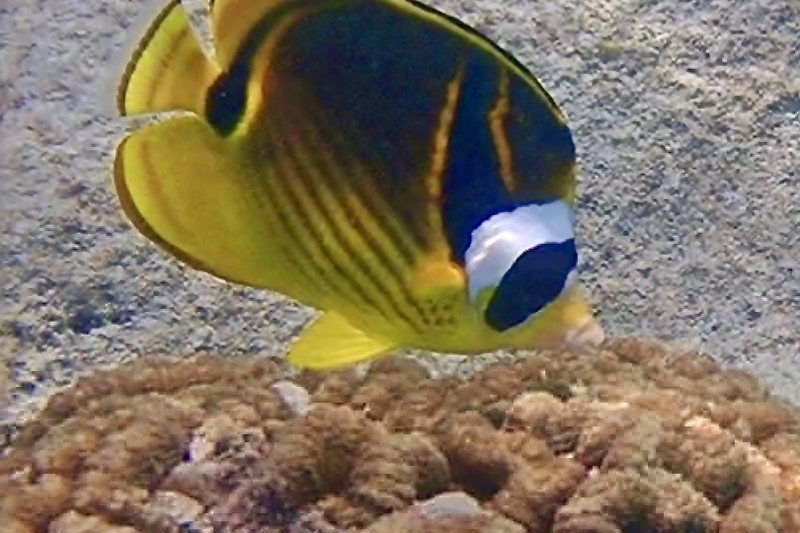 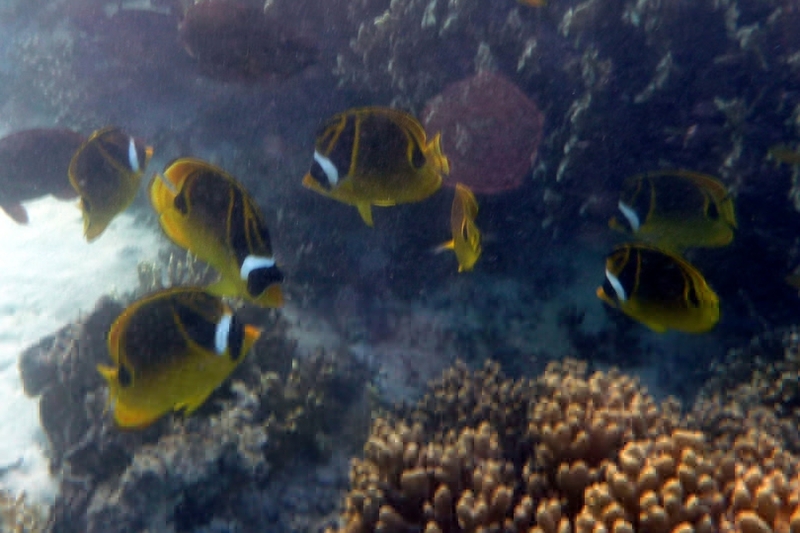 Also known as Coralfishes, Crescent-masked Butterflyfish, Halfmoon Butterflyfish, Lunule Butterflyfish, Moon Butterflyfish, Raccoon Butterfly, Raccoon Coralfish, Red-striped Butterflyfish, Spotted Butterflyfish. 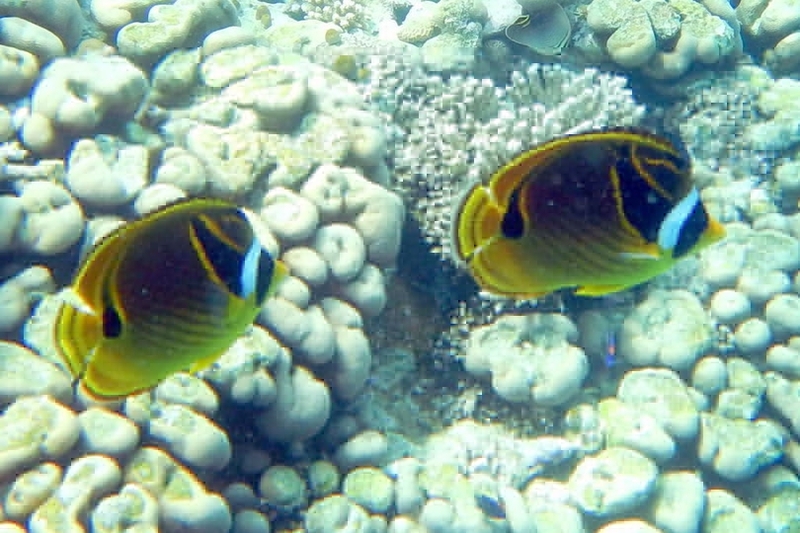 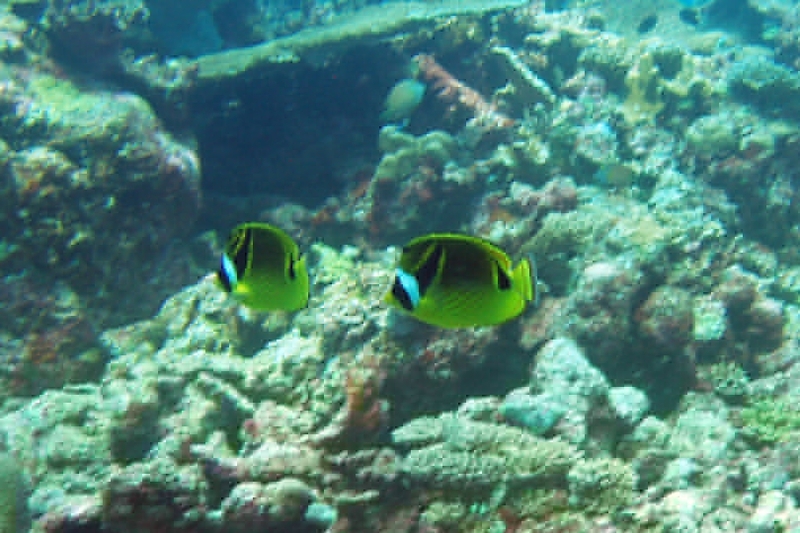 Found singly, pairs or in schools over shallow reef flats of lagoon and seaward reefs. 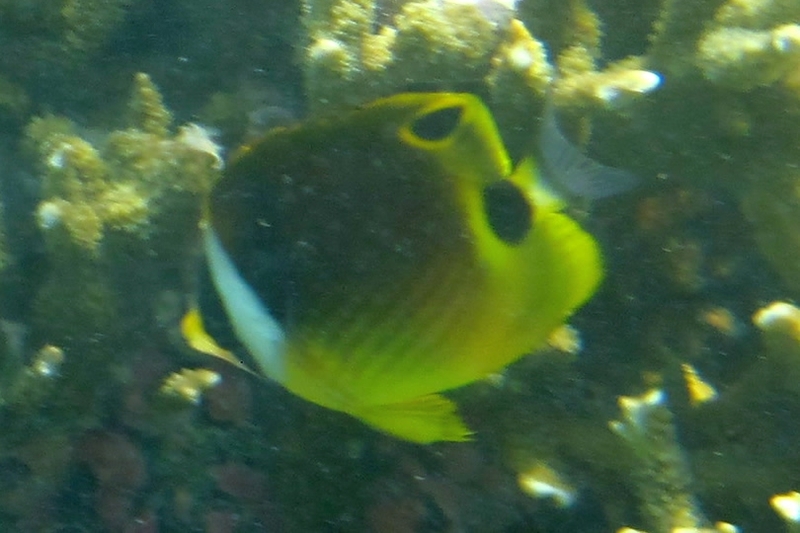 They feed on algae, coral polyps, benthic invertebrates, nudibranch. 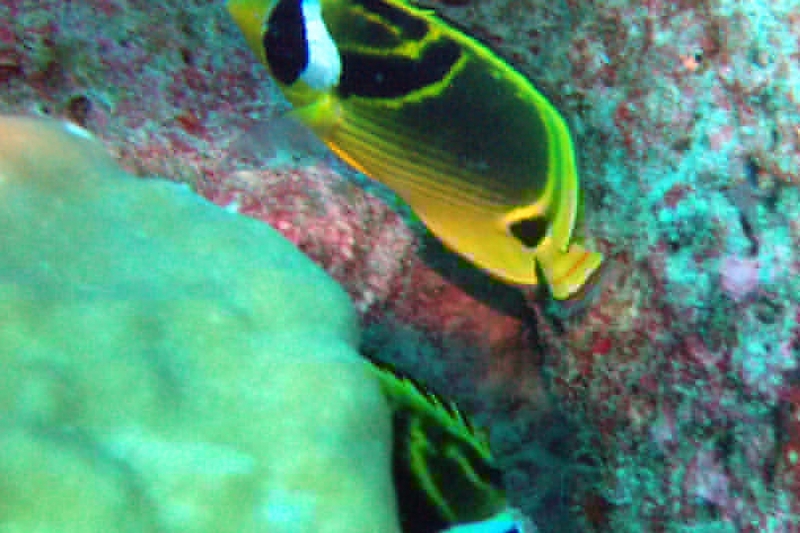 April 02, 2013 at 19:05 pm - 1 person found this useful. 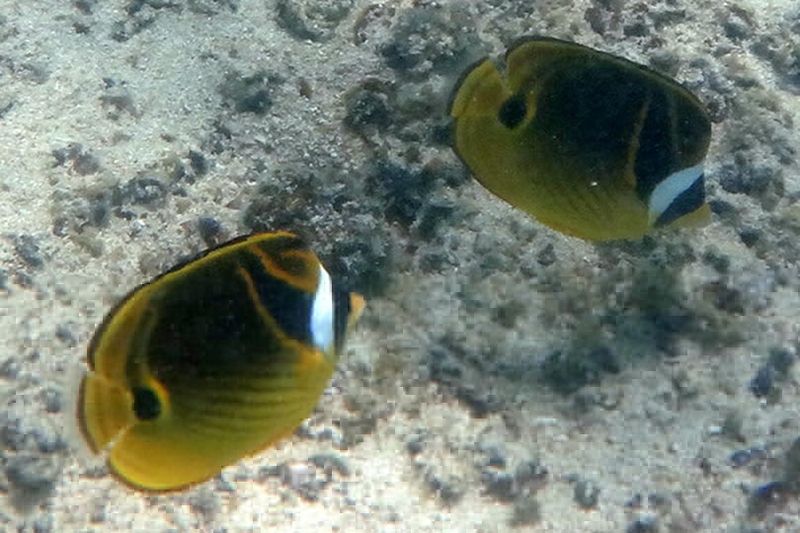 Juvenile raccoon butterfly fish show a second dark spot on the upper rear of the dorsal fin, as shown in some of the posted images.